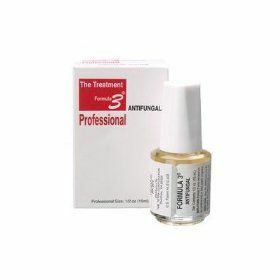 Formula 3 is a topical agent used to treat stubborn nail fungus. Although we highly recommend starting with Laser Therapy and Keryflex, the Formula 3 is great to give to our patients so they can proactively treat their nail fungus. With its easy brush on applicationa and no drying time, patients love the convenience and effectiveness of this product. We know it works so well, the company is willing to refund, 100% of your money, if you are not 100% satisfied.